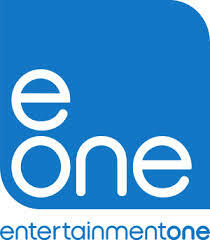 Entertainment One Ltd has agreed to acquire the Paperny Entertainment group of companies, an independent television producer operating across Canada and the United States, from the Paperny Sellers. 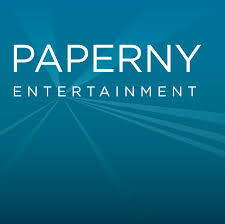 Paperny comprises: Paperny Entertainment Inc. and Altamont Holdings Ltd. The Paperny Sellers comprise: David Paperny, Audrey Mehler, Cal Shumiatcher, Completion Investments Inc., Playtime Investments Ltd., 0865631 B.C. Ltd. and CS Family Trust. Based in Vancouver, with operations in Toronto and New York, Paperny specialises in the development and production of non-scripted television programming, including a range of character-driven documentaries, reality shows and comedies. Its roster of recent and returning programming includes: Chow Masters (Travel Channel (US)), Cold Water Cowboys (Discovery Channel (Canada)), Chopped Canada (Food Network (Canada)), and Yukon Gold (History Channel (Canada)). Paperny is being acquired for a total consideration of approximately C$29.2 million, satisfied by the issue of 2,571,803 common shares in Entertainment One Ltd. (the “Consideration Shares”) and approximately C$14.5 million in cash. In the year to 31 December 2013, Paperny generated unaudited revenue of C$17.6 million and unaudited net income before income taxes of C$5.1 million. As at 31 December 2013, Paperny had unaudited gross assets of C$20.3 million. Paperny is led by David Paperny (Founder and President), Audrey Mehler (Founder and Executive Vice President), and Cal Shumiatcher (Executive Vice President). Following completion, these three will remain with the business on new long term employment contracts. It is expected that completion will take place on or around 31 July 2014. In completing the acquisition of Paperny, in respect of the Consideration Shares, application will be made to the UK Listing Authority and the London Stock Exchange for 2,571,803 common shares in Entertainment One Ltd. to be admitted to the Official List and to trading on the London Stock Exchange. The shares shall rank pari passu with the existing common shares of the Company.